Inspired by the fan-favorite Justice League animated TV series, this figurine collection features all of the team's iconic heroes sculpted in the unique style of the show and finished with bold, bright colors. This miniseries is a must-have for any fan of the series and true collectors of DC figures. 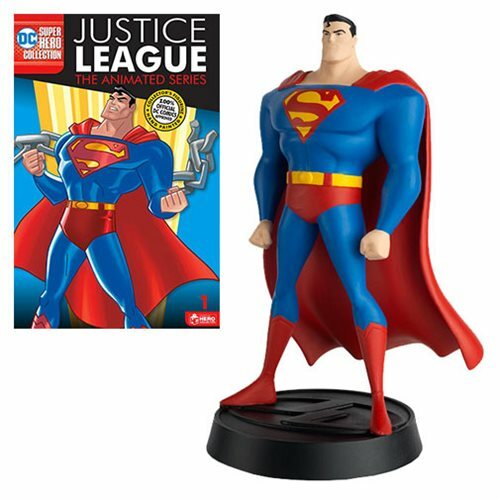 The DC Justice League The Animated Series Series 1 Superman Statue stands about 5-inches tall. Ages 14 and up.